Emissions problems are one of the most common reasons cars will throw an error code and trigger a “check engine light” or other warning light. While an emission leak or bad sensor may not feel like a pressing matter, emissions problems like those will tend to pile up and compound. Your car can actually be robbed of a lot of performance and fuel efficiency due to problems stemming from emissions problems. Taking care of emissions issues as they pop up and not waiting for them to get worse is the smart way to deal with maintenance. I don’t think ever in the history of auto repair has a problem been fixed by successfully ignoring it for long enough. Whatever kind of emissions repair you need, be it an O2 sensor, EGR Valve, fuel injectors, or something else entirely, give us a call at Rolling Auto. We’ll bring the auto shop to you. 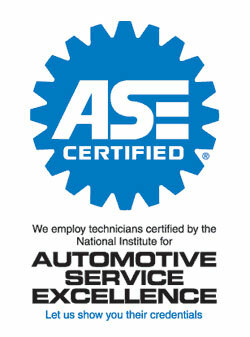 It couldn’t be any easier to get auto repair in Venice! Posted in Uncategorized on July 15, 2013 at 7:31 pm by Rolling Auto Service.